Relax in spacious, cozy, and clean rooms perfect for your vacation. Enjoy your day breaks and have a sound slumber in affordable luxurious units. The studio unit features approximately 45 sqm of interior space. It is a cozy and spacious unit that is comfortable as it is inviting. Top it off with a private balcony for an exceptional view of the sea and mountains. Hotel Rack Rate for the Studio Room is Php 7,320. Please see discounted rates below. * Service is available for a minimal charge. The loft unit is an area of approximately 62 sqm providing all the room you and your family need for rest and relaxation. These units are also embellished with a private balcony for a first-hand view of the sea and mountains. 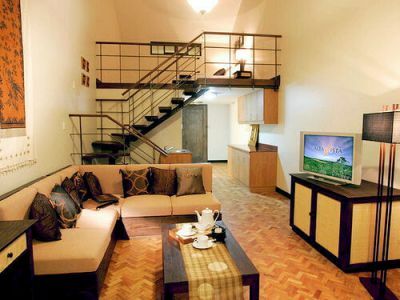 Hotel Rack Rate for the Loft Room is Php 10,980. Please see discounted rates below.